To log in to the Wechat Pay Open Platform, you are recommended to use the latest version of Chrome. 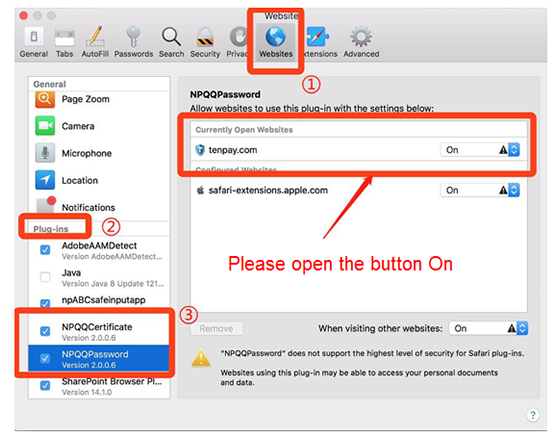 WeChat Pay Open Platform also recommends you use the IE 9.0 or higher version and Safari in Mac system to log in. 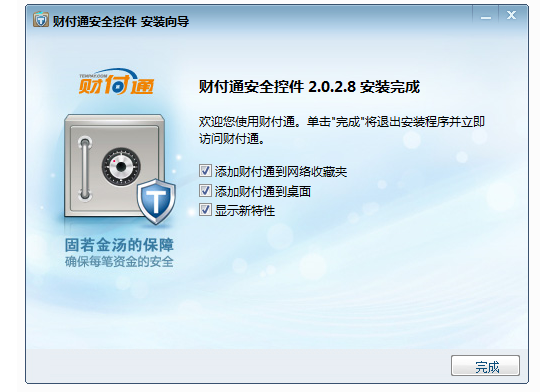 To quickly install security controls and log in, first remove your cookie cache and then install the security controls. 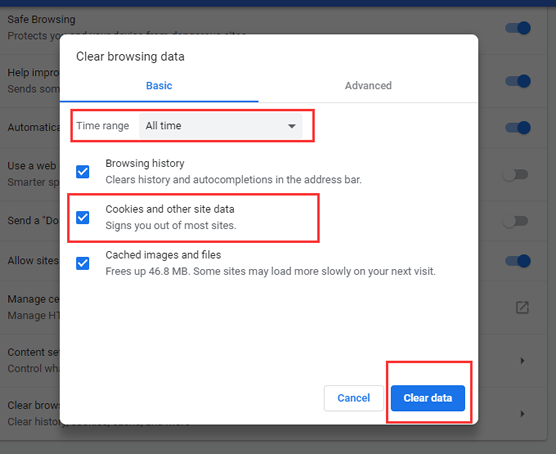 1.2 In settings, locate and click "Clear browsing data"
1.3 Select "All time" and "Cookies and other site data" and click the "Clear data" button in the bottom right corner. 1.4 After clearing the cache, the floating panel will disappear, which means the data was cleared successfully. 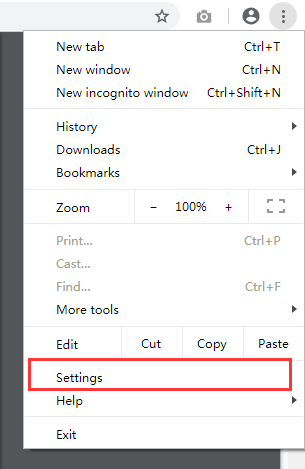 Then, restart the browser (close all web pages and open the browser again). Please use “compatible mode”, not using the “speedy mode”. 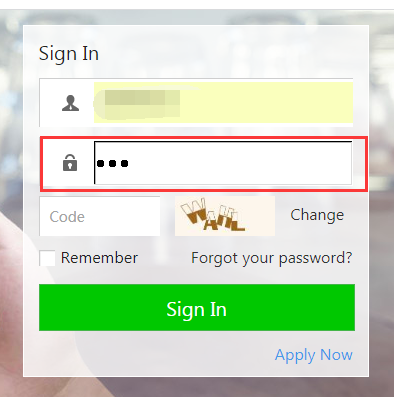 After you enter your merchant ID, you will be prompted to download and install the security controls. 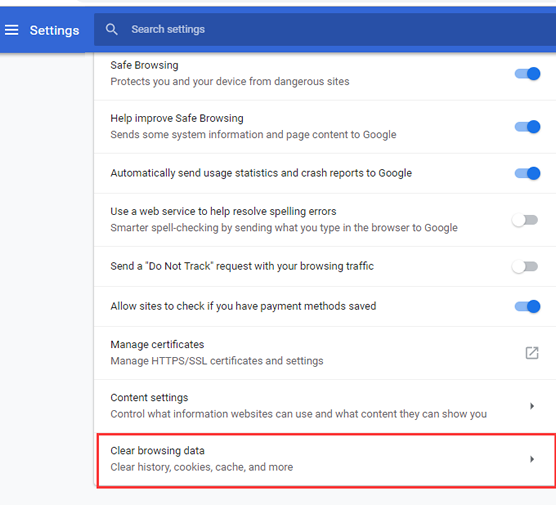 Click the box outlined in red in the image below. 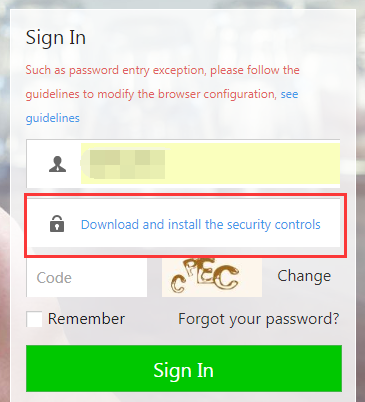 4.2 After you click "Download and install the security controls", the installation package will begin to download automatically. 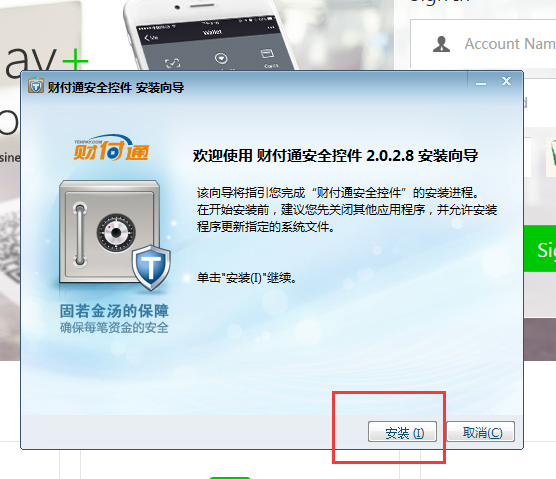 Once it is finished, double-click the downloaded installation package (the file name is tenpaycert_c47). About Tenpay | Contact Us | Powered By Tencent & Tenpay Copyright © 2005-2019 Tenpay All Rights Reserved.